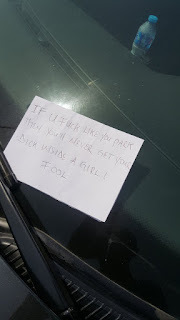 Abubakar, who may have parked wrongly at Nnamdi Azikiwe Airport, Abuja, came back to meet this note on his windscreen. 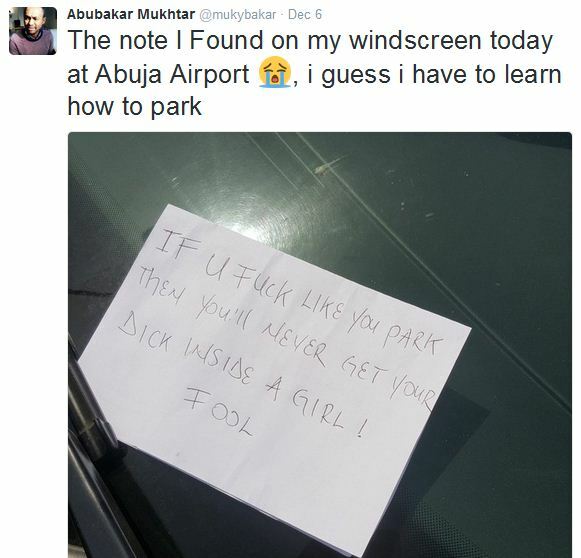 The writer expressed his/her anger at Mr Mukhtar's haphazard parking in very strong terms. Lol. You can practically feel the writer's anger flowing off the note.